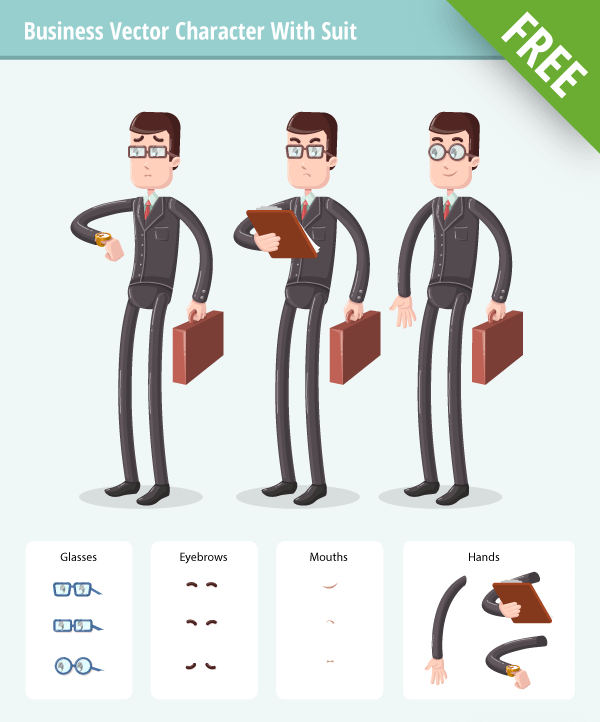 A Business Vector Character Set that includes 3 different types of businessmen. They all have different poses, clothes, haircuts and more. 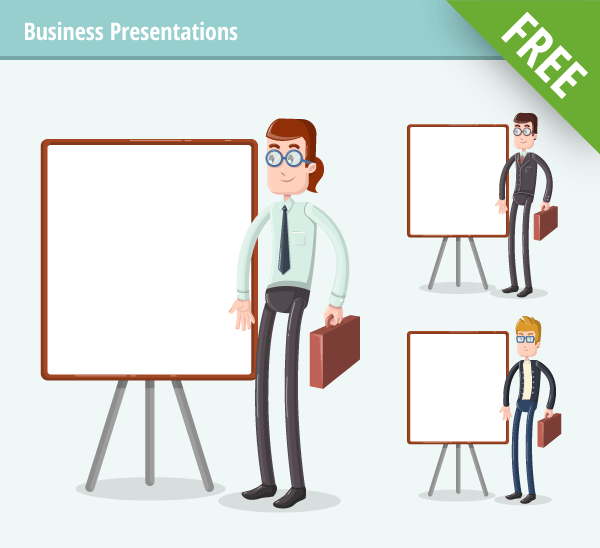 All of the businessmen are made with vector shapes, which makes them perfect for print or web projects. If you are not familiar with vector-based software, you can use the png file included in the .zip archive. He has a shirt and a tie, he’s the perfect choice for more casual related business designs. He’s dressed in a classic dark grey suit – the perfect choice for more classy designs. He’s dressed in jeans and a t-shirt – he will be the perfect choice for casual projects like some startups and technology related designs. 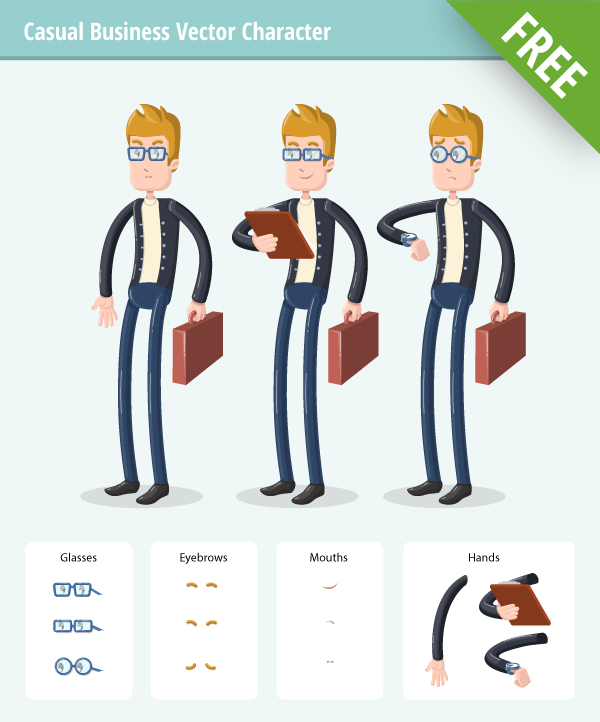 We’ve made our free business vector characters with some extra items, which can help you to modify them very easily. You will get 3 different hand positions – looking at a watch, standing down and holding a notepad. Also, there are 3 different eyebrows for each character – normal, sad and angry. 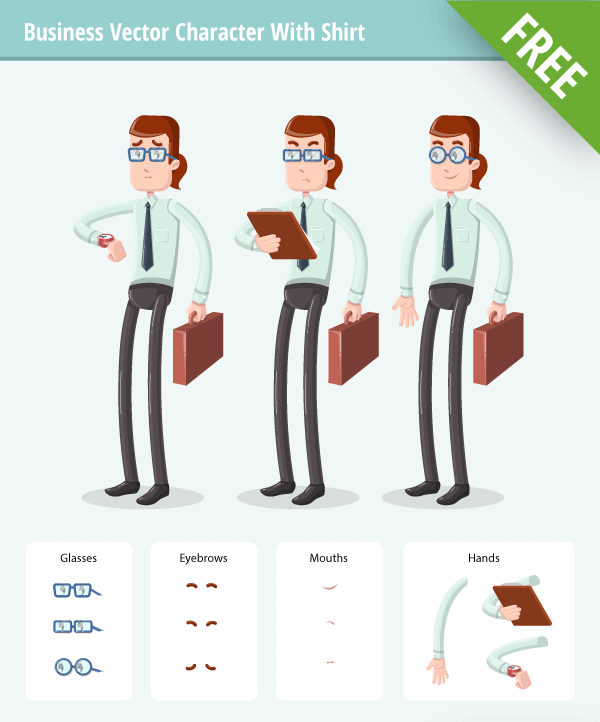 There are 3 different vector glasses that can be used for every one of these 3 characters. As a bonus, we’ve made a free whiteboard so you can make the characters standing in front of it to show some information. 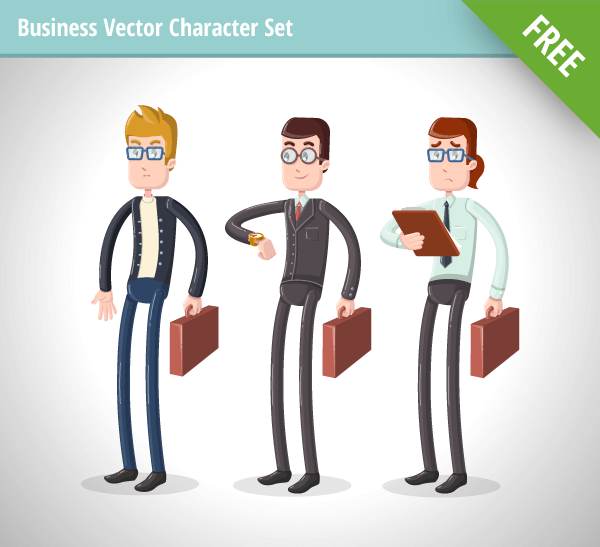 To download these business vector characters – click on the download button below the previews.